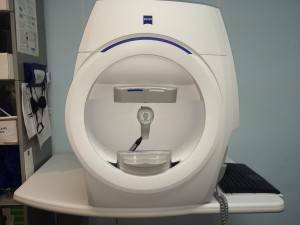 At Shore Family Eyecare, we use state of the art technology in order to offer our patients the very best in eye care. 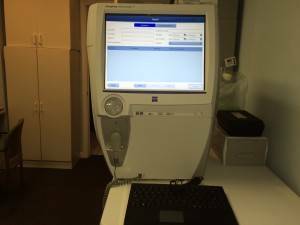 We have recently acquired the most technologically advanced field analyzer for glaucoma diagnosis and management. Validated by more than 25 years of research, design and clinical experience, the Humphrey® Field Analyzer (HFA™) is the accepted standard of care in glaucoma diagnosis and management, as well as detecting stroke and brain tumors. Zeiss has now come out with the latest model, the Humphrey® Field Analyzer 3 with Liquid Lens technology, and we have it! Make an appointment today and let us analyze your vision!